Jerash is an ancient city in northwestern Jordan, near the country's border with neighboring Israel. It dates to the Antiquity, although it was nearly destroyed in an earthquake in the 8th century and later rebuilt. It bears the marks of having been in the orbit of both European and Middle Eastern civilizations. 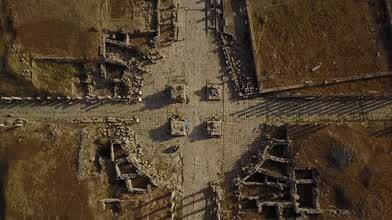 Award winning contributor Fabio Knoll used a drone to create an amazing aerial tour of this city, which was unearthed by archaeologists in the early 1800's.